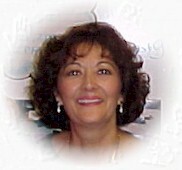 The Children’s House teacher, Señora Mayra, is a native of Mexico City. She received her Early Childhood Education Degree from the Maestro Manuel Acosta school in Mexico City. She began teaching Kindergarten in her homeland until she married and moved to the United States. For about 10 years, she worked or volunteered as an assistant at various schools and with Sunday school due to her husband’s military career requiring frequent moves. Finally, in Germany, Sra. Mayra entered the Montessori world as an assistant. She was fascinated by the environment but most of all in the results of the methods implemented to teach the children. She began her Montessori training and completed her Montessori certification through London’s St. Nicholas Training Centre. Upon completion of her training, she assumed a head teacher and supervisor position at the Montessori school in Ramstein, Germany, for the next three years. Back in the United States, she took on two part-time positions due to her military wife obligations– a traditional Kindergarten teacher assistant during the school year and a Montessori head teacher for summer camp. From the experiences of these two environments, her beliefs in the potential of the Montessori method were reconfirmed. She knew for sure to give the children the best foundation for life and expose them to the most opportunities she needed to teach children using the Montessori method. To get to Corpus Christi, Sra. Mayra sailed 9 months from Virginia. During her sail, she reflected on all of her teaching experiences and began to dream about having her own Montessori program and adding an additional developmental opportunity for children-teaching the children in a total Spanish immersion environment to take advantage of their absorbent minds. Upon arriving in Corpus Christi, she began teaching a Spanish program at a local Montessori school and then became a head teacher in one of the Children’s House classrooms. Finally, she came together with her family to realize her dream and open up Mi Casita Montessori School. Señora Sonya is currently our trilingual Program Director and Catechist who heads the Catechesis of the Good Shepherd program. She was born in Spain and has lived all over the world, including living on a sailboat for 9 months to get from Virginia to Corpus Christi. After graduating from high school in Germany and attending German school for 2 years, she returned to the United States and earned her Bachelor of Arts Degree from Christopher Newport University in Newport News, Virginia. 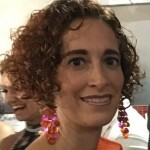 Sonya has worked with children in various environments. She first started working with children in an after-school program in a Montessori school in Germany. During her college years, she taught a summer sailing camp program for elementary students. When she graduated, she became the Art Program Director of an after-school program called Young at Art. She enjoyed incorporating her artistic interest with her desire to work with children. Yet, she recalled her Montessori experiences and decided to pursue her Montessori training. Sra. Sonya completed her primary Montessori Training through St. Nicholas Training Center. She did her internship and teaching practice at the Montessori School of Corpus Christi. After the birth of her daughter, Ariana, she had a more personal goal than ever to implement the Montessori methods in every facet of a child’s experiences and begin to stimulate the child from birth onwards. She has also earned her AMI Assistant to Infancy Montessori certification (specializing from birth to age 3) from Colorado. She is one of the founding teachers of Mi Casita (who has worked as the Toddler head teacher for many years and as the English-speaking Montessori English teacher for the Kindergartners) and is also offers home and school consultations, prenatal courses, and teacher training to share her knowledge with our community. Señora Norma has been a Children’s House teacher since the 2008-2009 school year at Mi Casita. She was born in the city of Saltillo, Coahuila Mexico and earned her degree in Industrial Relations from the University of Autonoma of Coahuila in 1990. Sra. Norma started her Montessori career as an assistant to Sra. 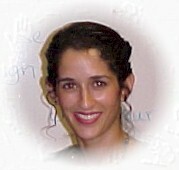 Mayra in the summer of 2006. After working with Sra. Mayra for two years, she decided that teaching in a Montessori school is what she wanted to pursue. Thus, in 2008 she began her Montessori certification from the Centro de Entrenamiento Montessori in Monterrey, Mexico and successfully completed her certification in the spring of 2010. In the summer of 2017, she completed the Catechesis of the Good Shepherd certification. Señorita Salma joined our team October 2018 to be our new Toddler Community head teacher in training. She is originally from Monterrey, Mexico but grew up in Boston. She is currently working on getting her degree in Special Education at Texas A&M Corpus Christi and is extremely excited to learn how to support the children under the Montessori philosophy. Srta. Salma knows she has some BIG shoes to fill around here but has enthusiastically accepted the challenge! To round out the team, Señora Mayra “Angelica” serves as the school business administrator. She is trilingual (Spanish, English and German) and comes with a business background and experience working with children. She received her Bachelor’s Degree in Business Administration and Management from the German University of Saarbrcken and then earned her Master’s Degree in Business Administration and Management from Old Dominion University in Norfolk, Virginia in December 1998. Angelica was first exposed to Montessori when she led the after-school program of a Montessori school in Germany. Since then she has always been drawn back to children even though she pursued a business education and worked on various startup business projects. While she worked on her master’s, she assisted with summer camp at a Montessori school and landed an internship at yet another Montessori school, working with the administration. Upon graduation, she knew she wanted to continue a business career but be around young children. The perfect match resulted in running a Montessori school in Virginia prior to starting Mi Casita Montessori School with her family. In the summer of 2008, she completed her Montessori certificate through the North American Montessori Center to better serve the entire staff and school community. Copyright 2015 Molecularweb. All Rights Reserved.